Maybe you’ve experimented with over-the-counter whitening methods and found that it may take months to see any significant results. You may have also discovered their results are temporary. With in-office whitening, your teeth can be brightened much more quickly. In fact, you can do it in just one appointment. 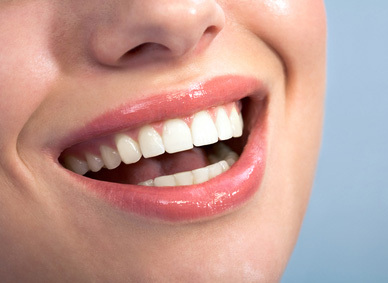 Zoom Whitening is a popular in-office whitening treatment. Patients like the convenience of getting their teeth whitened in just one point. Dr. Noah wants patients to have the convenience of Zoom Whitening, but prefers a different brand that avoids some of the disadvantages that come with it. Our in-office whitening is Sinsational Smile. Both Zoom Whitening and Sinsational smile use professional grade whitening gel. Both of them use a special light to activate the whitening gel and speed up the process. Both will give you a brighter, whiter smile. But, there are some differences. Zoom Whitening will take two hours. Sinsational Smile only takes twenty minutes. With Zoom, you’ll do several applications. Sinsational smile is only one application. You’ll also be given a special whitening pen to aide with any additional upkeep at home. The UVA/UVB lights that Zoom Whitening use produce heat, which contributes to the sensitivity many people have after the procedure. Sinsational Smile uses an LED light, which is much more gentle. Sinsational whitening has a patented silicon tray that allows you to keep your jaw relaxed throughout the duration of the whitening procedure. Most individuals are great in office whitening candidates. But if you have aren’t ready to commit or have some questions, please schedule a complimentary consultation with Dr. Noah. During this time you will be able to meet with him one on one to determine if this powerful teeth whitening system is right for you. If you’re ready to go, you may call our office or click here to request an appointment online.